Albert Villa, where a warm and friendly welcome awaits you. 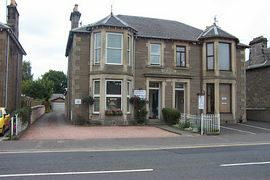 Situated in Perth within easy walking distance of the city centre. Spacious and comfortable accommodation on 2 levels operating with 10 letting bedrooms, 7 having en-suite facilities. 3 rooms on the ground floor have separate external access offering additional privacy for guests who wish to come and go as they please. All our rooms are attractively decorated and equipped to a high standard, having been been recently upgraded. They all have hospitality trays, colour television and central heating. Ample private parking available at front or rear of building. Family room sleeps 2 adults and 2 children under 12. Discounts for group bookings and large parties i.e 6 persons +. PayPhone, Fax and Wi-Fi Internet Access available. 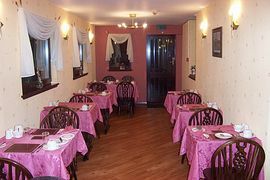 From £25.00 to £30.00 per person per night for bed & breakfast in a single room. 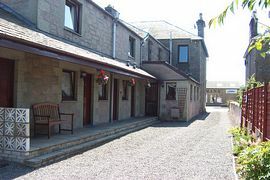 From £25.00 to £28.00 per person per night for bed & breakfast sharing a double/twin room. 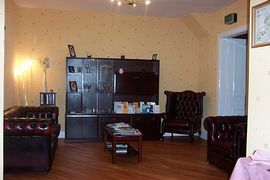 Family rooms from £65.00 based on 2 adults and 2 children under 12. 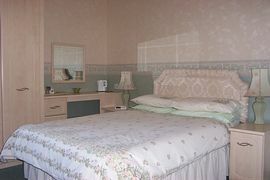 £35.00 for single occupancy in a double/twin room. Directions by car from the South as follows. Head north on the M90 sign posted for Inverness. At junction 10, take the A9 north and continue to follow the signs for Inverness. Head straight on through the next roundabout (Broxden roundabout) then turn right after about 1.5 miles heading off the A9 at the Inveralmond roundabout into Dunkeld Road. Follow this road for approximately 1.5 miles passing ASDA on your left. Continue straight on through a small roundabout and the Albert Villa Guest House is on your left approximately 150 metres further on.